Five young monks were detained during night-time raids while their current condition and the location of detention remain unknown. Five young monks were detained during night-time raids at Gyalrong Tsodun Monastery in Barkham (Chinese: Ma'erkang) County in Ngaba (Chinese: Aba) Tibetan and Qiang Autonomous Prefecture, Sichuan Province. Lobsang Sangay, around 19, Yarphel and Namsay, both around 18, were detained by security personnel on 12 August 2012 from their residence at Gyalrong Tsodun Monastery. Their current condition and whereabouts remain unknown. Two other monks from the same monastery, Thupwang Tenzin, around 20, and Asong, 22, were also arbitrarily detained at around 4 am on 16 August 2012 from their monastic residence. Their whereabouts also remain unknown. 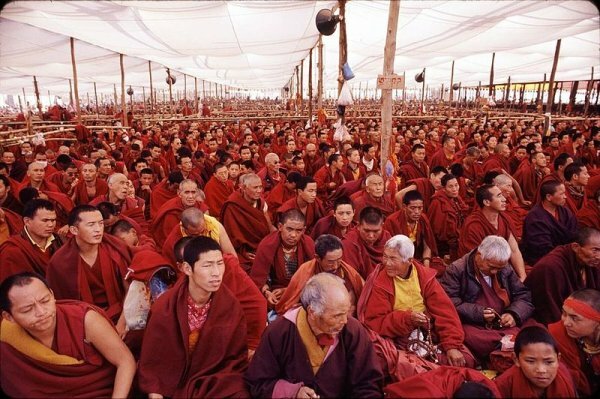 Sources tell TCHRD that the monks were arbitrarily detained on the suspicion that they were involved in the recent self-immolation protests that occurred at Tsodun Monastery in March and August this year. However, it is not clear on what charges the five monks were detained and there is no information on the locations of their detention. Lobsang Sangay was born at Tatag village in Tsodun Township in Barkham while Namsay, a classmate of Yarphel at Tsodun Monastery was born in Kargu village in the same Township. Yarphel hails from Tsegtse village located in Tsodun Township. Thupwang Tenzin was born in Tsanlha (Chinese: Xiaojin) County in Ngaba Prefecture and Asong belongs to Tatag village in Tsodun Township. Security presence and surveillance have been stepped up since 13 August 2012 when Tsodun monk, Lobsang Lozin, 18, set himself on fire in protest against the Chinese government in Barkham. People's Armed Police including special armed officers have been deployed in and around the monastery putting heavy restrictions on the movements of the monks at Tsodun Monastery. Monks are subjected to random questionings. The situation is described as “tense and urgent” by sources who talked to TCHRD. Chime Palden, 21 and Tenpa Dhargyal, 22, both Tsodun monks, set themselves on fire on 30 March in protest against the Chinese government while Lobsang Lozin, 18, from the same monastery set himself on fire on 13 August. Chime Palden died a day after his fiery protest while Tenpa Dhargyal passed away a week later whereas Lobsang Lozin died the same day of his fiery protest. Tsodun Kirti Monastery has around 300 monks and is 82 kms away from Barkham County.